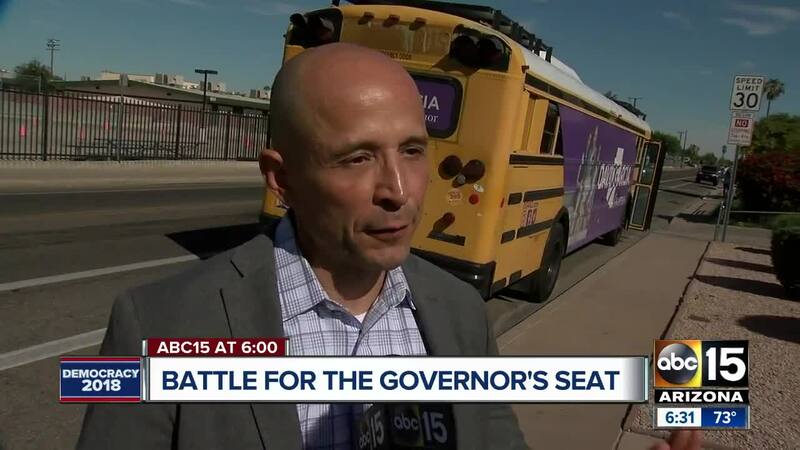 Latest on major state races coming down to the wire before the election. 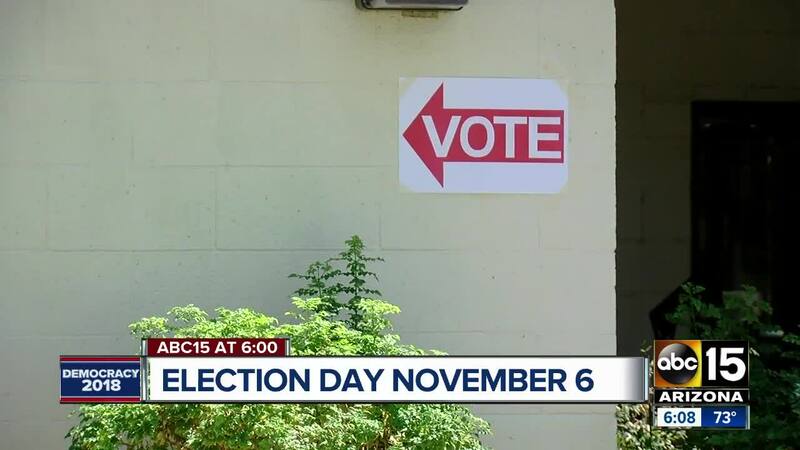 A new ABC15/OH Predictive Insights poll breaks down the latest numbers in some of the most high-profile state races. See the latest numbers gathered below. his way. Sixteen-percent of them remain undecided, the largest of any ideological group. 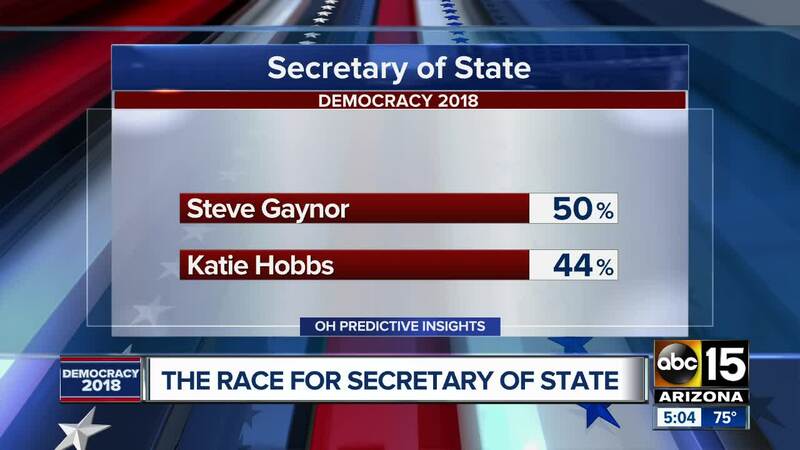 However, Gaynor continues to hold his lead over Hobbs. Incumbent Attorney General Mark Brnovich continues to hold a strong lead against challenger January Contreras. However, Contreras has gained a large amount of male support, with an 8-point increase since our last poll. Even with this loss, Brnovich still holds a 14-point lead. This is the closest race, with Frank Riggs holding a 4-point lead and 12% of voters still undecided. Among those who believe education is a top priority, Hoffman leads by 60 points. Since our last poll, incumbent Doug Ducey has maintained his nearly 2-to-1 lead, gaining three points. David Garcia has gained 2 points. Methodology: This 42% cell phone and 58% landline poll was completed by OH Predictive Insights on October 22, 2018 and October 23, 2018, from a likely 2018 General Election voter sample. The sample demographics accurately reflected party affiliation, gender, region, and age. The sample size was 600 completed surveys, with a MoE of ± 4%. Numbers may not total 100%, due to rounding. Poll report for the General Election poll can be viewed here .